Re: Next button grayed out? did you choose your Battlefield 1942 folder correctly? May we see a screenshot of the grayed out button and the installer background? 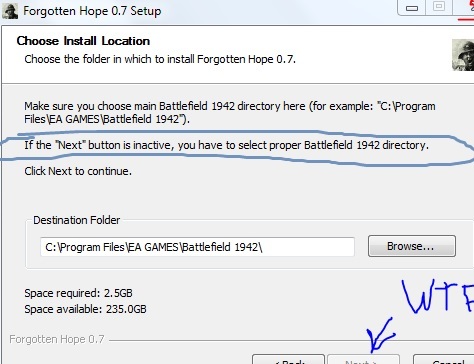 Locate and select your root Battlefield 1942 directory by clicking on "Browse..." in that FH installer. That will make it work for you.